What are Millwork Shop Drawings? Millwork Shop Drawings are a set of detailed plans that aide in the manufacturing of Architectural Millwork and Casework. Often times they are produced by the Millwork Supplier and are submitted to an Architect or Designer for approval – prior to fabrication. When a Millwork Shop is unable to provide a set of Shop Drawings in-house, they sometimes turn to a company such as Superior Shop Drawings. We use our experience in the Wood Industry to produce a set of quality millwork shop drawings. 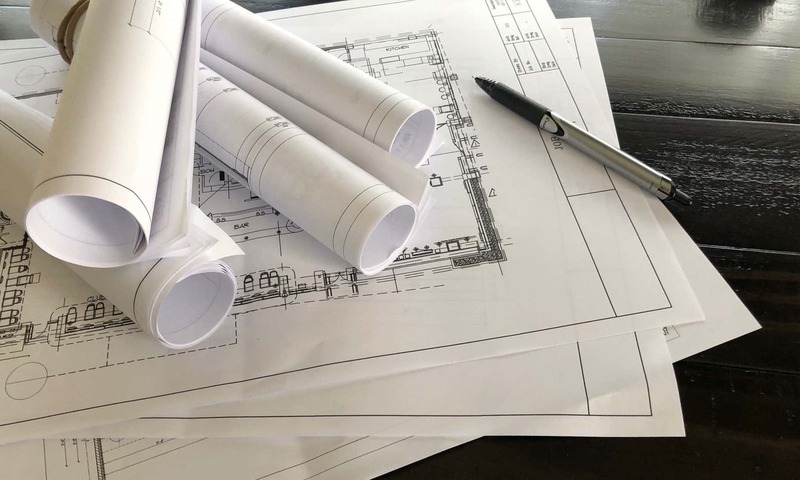 Depending on the application – Shop Drawings can begin from something as simple as a napkin sketch or as complicated as a full set of Architectural Prints. Regardless of where a set of Shop Drawings begins – the goal is always the same. The drawings need to detail the construction of the finished product. We do this by using the manufacturing standards of the shop doing the work. In the example above, we have a small part of a project that we did for one of our earlier customers. The item being drawn is a custom drying rack for a residential laundry room. Aside from some basic overall dimensions, we need to rely on the design intent image to determine how the cabinet will be produced. Based on our experience in the residential market – we determine that the best way to manufacture this unit is to create a cabinet with a tip-out frame. Once the basic layout is finished – we then have to select a piece of hardware that will tie it all together. In this case, we use a Flap Stay Kit from Hafele. In instances where we are provided with Architectural Prints – there is usually plenty of information to work with. Often times we have Plans, Elevations, and Sections to reference. The additional information is very helpful but the difficulty becomes drawing up a product that follows the construction standards of the shop manufacturing the casework. This is where a good set of sample drawings comes into play. Using the samples, we can determine how the shop prefers to manufacturer their casework and, in turn, produce a set of Millwork Shop Drawings that follows suit. In the event that you find yourself in need of a set of Millwork Shop Drawings – please head over to our Request a Quote Page. We are happy to provide you with a free quote in a timely manner. Next PostNext How Much do Millwork Shop Drawings Cost?